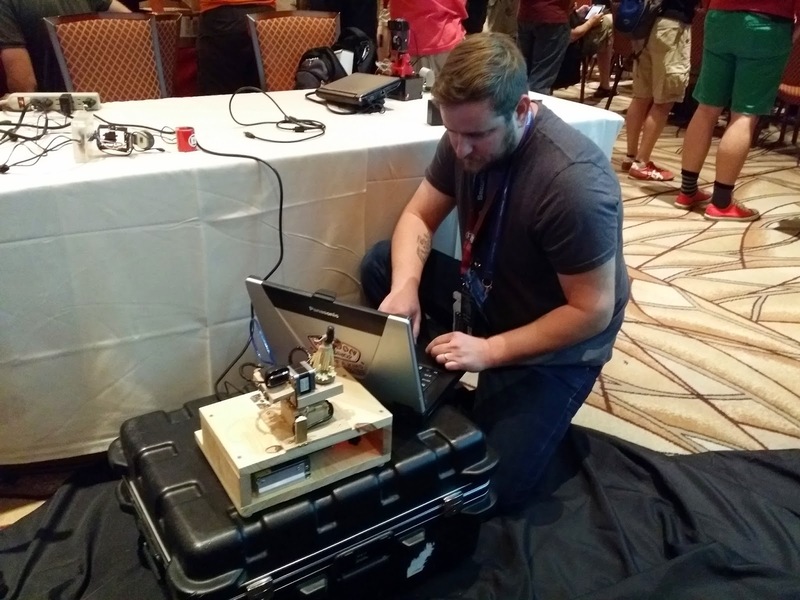 We recently sponsored Defconbots, an autonomous robots competition which is part of Defcon and took place in Las Vegas at the beginning of August. Defconbots had a five year hiatus, but is finally back. We were very excited when they asked us to become a sponsor of the event. We helped to sponsor the competition by donating some CircuitHub shirts as well as a $250 credit towards manufacturing on CircuitHub. 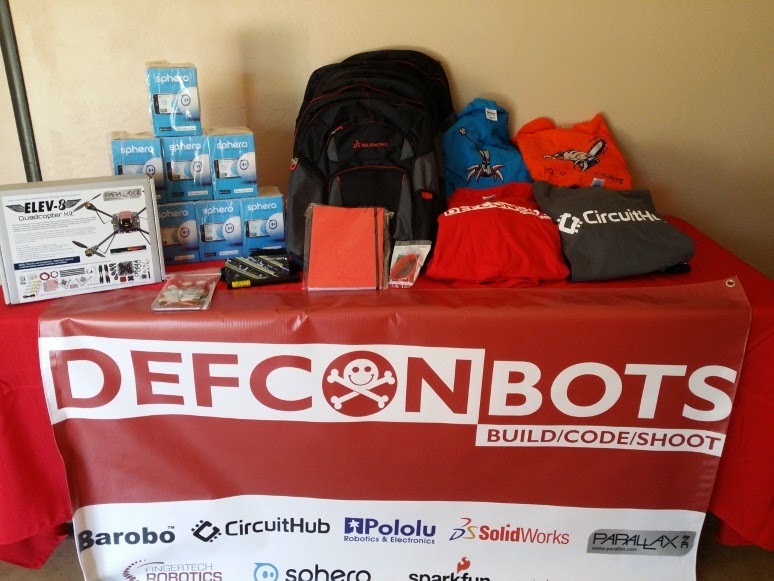 Defconbots was started started in 2004 at DEFCON12. The goal of the competition has always been to design, build, and program an autonomous robot to complete a specific task. For example, in 2004 the goal was to build a mobile robot that can pick up ping pong balls and transport them across an arena. The objective this year was to have a robot autonomously track five moving targets and “fire” a specific laser module at them. The targets, which consisted of ping-pong balls mounted to model train cars with sensors and LEDs inside, came in waves that were increasingly difficult. To win contestants had to build a robot and write software for the robot to last the longest and hit the most targets. It's like a real-life tower defense game. A reference design was provided to help the contestants get started. The winner of the $250 credit went to Garrett Kendrick who earned the "Best Build Robot" award in addition to placing third overall in the competition. I first started with a design similar to the reference robot using servos and a laser cut platform. I also used the Arduino and Processing code from Project Sentry Gun. I simply modified the Arduino code to handle a laser module instead of an air-soft gun. I really liked the interface and the ability to lead the target, but the resolution (ability to move in small steps) wasn’t good enough. At ten feet away from the target, one step of the servo resulted in about 4 inches of movement of the laser dot. I then laser cut some gears and some mounting hardware to try and increase the resolution. While this did work, it resulted in a serious decrease in speed/responsiveness. I then decided to purchase a RAMPS 1.4 board and some NEMA 17 stepper motors. I a quite familiar with this equipment and figured I could always make another 3D printer with the parts after the contest. After quite a bit of experimentation, I determined that a direct-drive gimble was the way to go (the bracket of the tilt motor was mounted directly to the shaft of the pan motor and the laser/camera bracket was mounted directly to the tilt motor shaft). 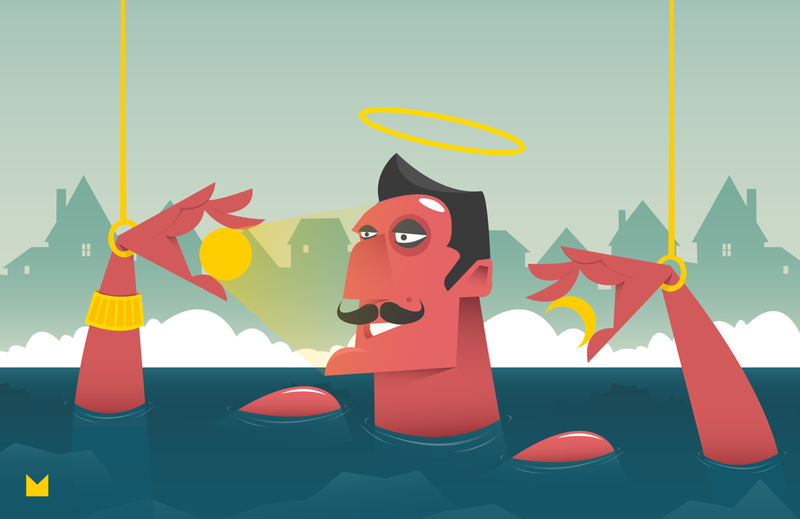 After quite a bit of code writing and debugging, I got it working. I was amazed at the accuracy and responsiveness, but had to play with the code to get the robot to "lead” the target to compensate for image processing/motor movement delays. Congrats to Garrett on his win. We can't wait to see what cool thing he will manufacture on CircuitHub with his credit! We wished we could have attended the event in person this year, but there's always next year!